I’ve spent some time playing World Of Tanks Blitz on Mac, and have filmed my shenanigans for you all to see and experience for yourself! It’s been a long time coming to see this explosive Free-to-Play game coming to Mac, bringing with it online battle consisting of over 200 legendary war machines, It also allows head-to-head action with up to 7-vs-7 PvP combat cross-platform. 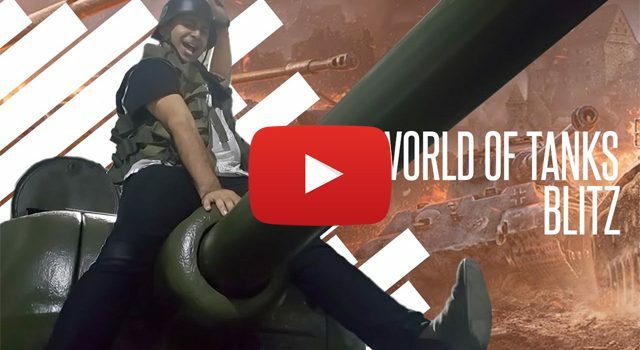 Having started off as a mobile game, World of Tanks Blitz is a closs-platform game, something more and more companies are embracing. In order to make sure fans always find a battle regardless of platform, mobile gamers will be part of the iOS/Android/Win10 cross-platform battle, while Mac OS X tankers will join Win10 PC players in the same matchmaking queue. Hopefully in the future Max OS X will join mobile gamers. It’s great to see World of Tanks Blitz on Mac as the fun and quick game that it is. A lot of users are still waiting for World of Tanks to come to the OS X. The minimum specs for those wanting to hit the front lines will be Mac OS X 10.9 Mavericks (corresponding Mac models) or later, and 2GB of RAM. Check out my gameplay in action below.